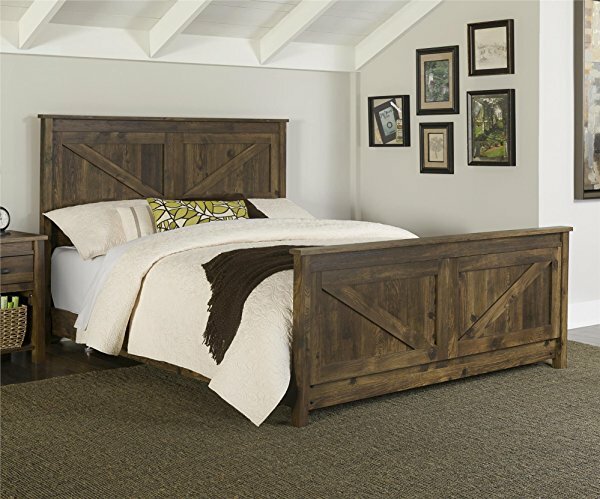 I am redoing my master bedroom with a more rustic look. I decided to start with a headboard and went straight to Pinterest to find ideas! Here are a few I have found so far. 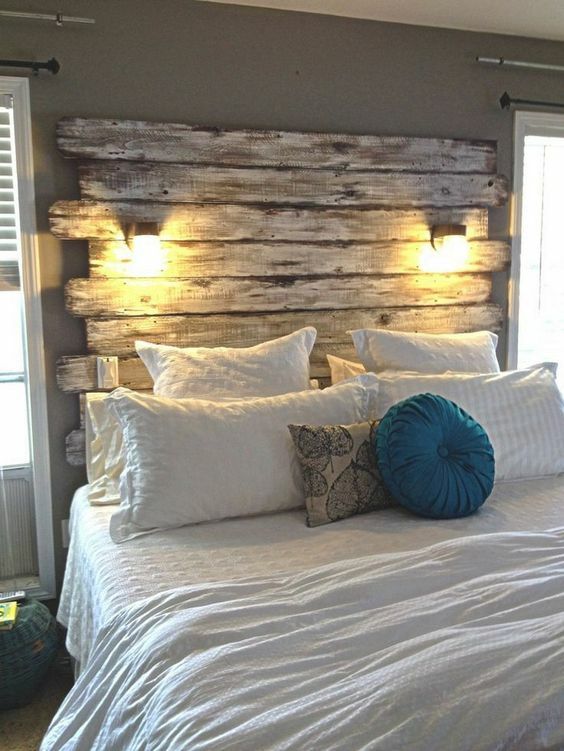 I really like this headboard and the fact that it could be a DIY project. The “shelf” on the top is perfect for pictures, flowers and their idea with candles gives a warm feeling to the room. 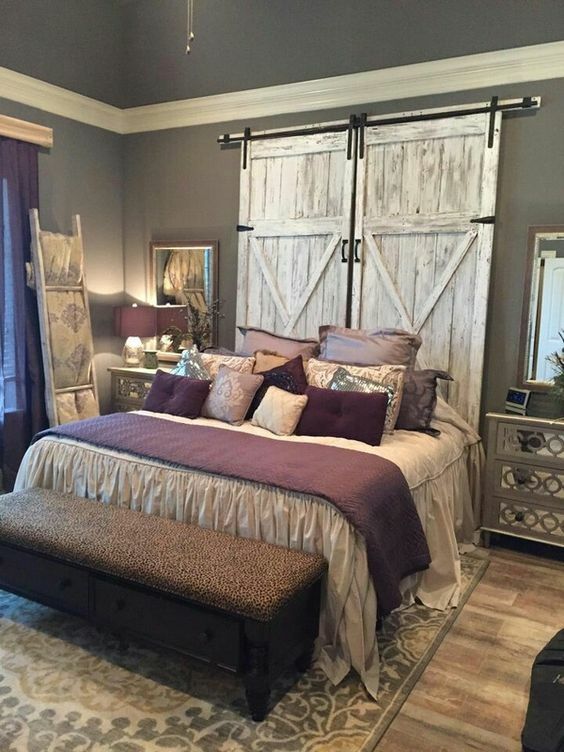 This headboard is actually made out of a barn door! 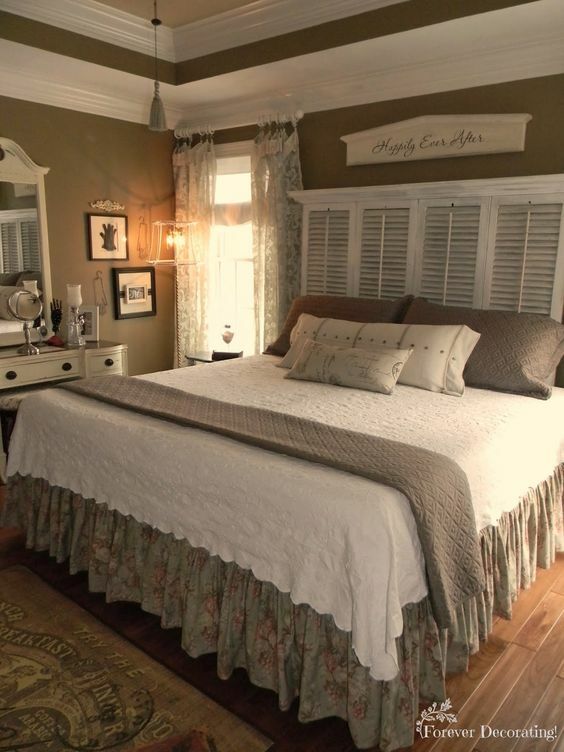 I would prefer a brown or more natural look instead of white, but it really adds personality to the room. This one is a little bit different than the others. I like that it still gives the rustic look that I’ve been searching for and it seems fairly easy to do, but it’s not quite my favorite so far. Now, this one I LOVE! It’s actually made out of pallet board AND it had lights on it. I could make the headboard, but not sure if I could assemble the lights. I will may have to try this! Amazon has this headboard set that I really, really like. You can see it on Amazon right here. And the prices are pretty affordable, too. 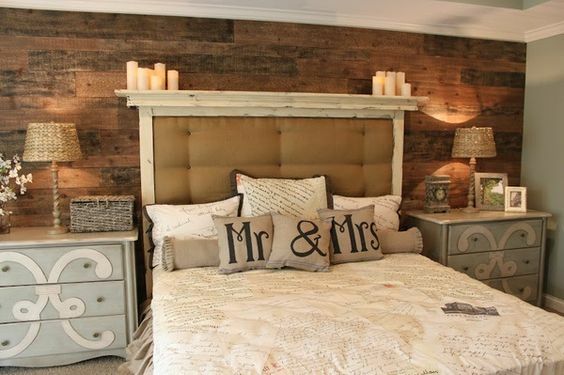 Have you done any of your bedrooms in a rustic decor theme? 30+ Perfectly Organized Pantries That Will Inspire You To Give Your Pantry A Makeover – NOW!